Rachel's Dog Copper Is the Real Star of The Bachelorette—But Why Is He in a Cast?! 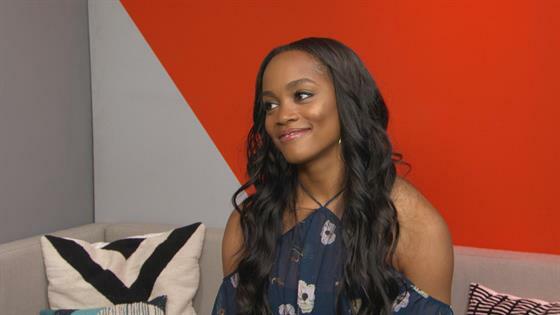 We're not sure why Rachel Lindsay needed to go on The Bachelorette when she already has the perfect guy in her life: Copper, her dog. In what seems like the first time in the franchise's long history, Rachel brought her beloved dog along with her for the beginning of the ABC reality hit's season, and he even got to tag along on Rachel's first official one-on-one date during Monday night's episode. Actually, you could say he was the star of the date, as Rachel and Peter flew to Palm Springs to attend "Bark Fest." But Twitter was also curious to know why Copper's adorable leg was in an adorable blue cast. (Could you not just watch that .GIF above on a constant loop instead of having to hear Lucas yell "Whaboom!" ever again? Same.) When Peter asked about his cast, Rachel said it was a story for a little later...and we never heard about it again. So naturally, we had to put on our detective hat...and check Rachel's Twitter to get an answer to the Internet's biggest mystery. "Inquiring minds want to know what happened to Copper...he broke his toe jumping off something," Rachel revealed. Mystery solved! And when Rachel visited E! News after the premiere, she spilled that viewers will be seeing more of Copper. Rachel also revealed that more men will be meeting her dog-child, saying, "He met some of them and he did sniff them out." Too soon to demand a Copper spinoff?